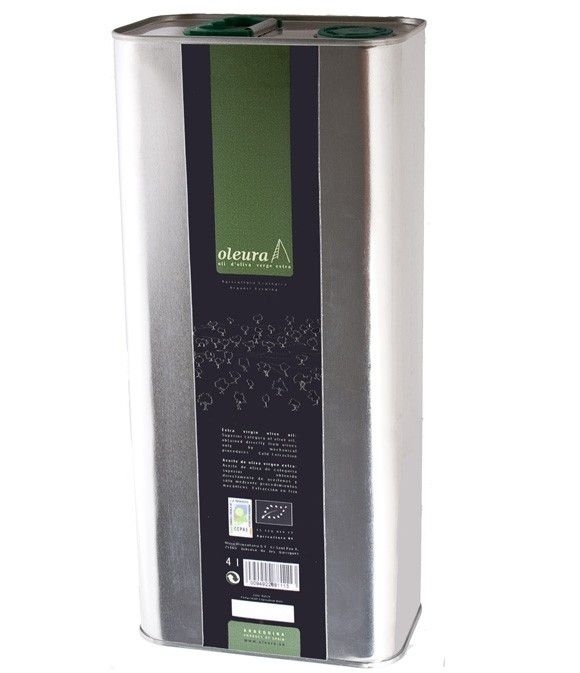 Oleura Ecológico - lata 4 l.
> Oleura Ecológico - lata 4 l.
Caja con 1 lata de 4l. de Aceite de Oliva Virgen Extra de arbequina ecológico en formato familiar. Envasado en acero inoxidable para garantizar la conservación de las propiedades del aceite virgen extra. 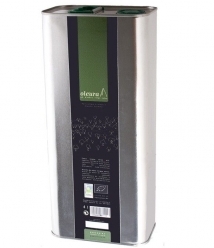 Oleia Alimentaria SL is a young family business of olive cultivators, born in the heart of Les Garrigues, with one simple idea in mind: direct sale of their own fruit, extra virgin oil of the arbequina variety. Simplicity, patience, humility and respect for the environnment are the values that have defined the work of this family and have been for generations. Les Garrigues is branded by a turbulent orography, full of shrub and pine woods, fused with the cultivation of olive and almond trees. Traditional agriculture with wide plantation settings allowing traditional harvesting. The mediterranean-continental climate conditions with little rain and a thermal aplitude have adapted to and established Les Garrigues as an ideal region for farming arbequina. Was in this setting that Oleura was born.